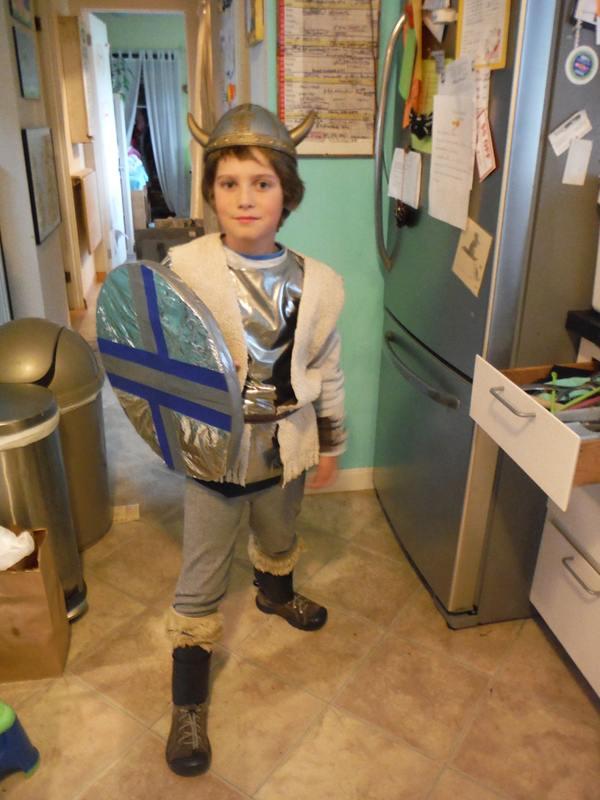 Do-It-Yourself Costumes | The Art Of | Kids VT - small people, big ideas! Repurpose household items. Plan ahead. And don't forget that the end of October tends to be chilly in Vermont. These were some common refrains when we asked readers to submit tips for making homemade Halloween costumes. Why make your own? 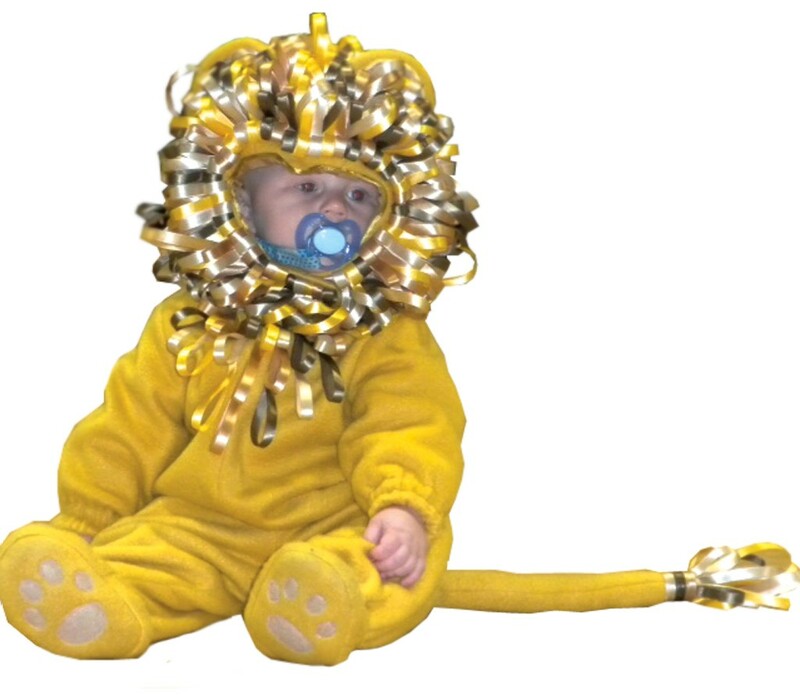 Several parents mentioned that it's more cost-effective than buying costumes. But most said it's all about the joy it brings to their family. Just don't overdo it. "It's not an Olympic sport," said Ferrisburgh mom Daniela Michaels. "Keep it simple, and just have fun." 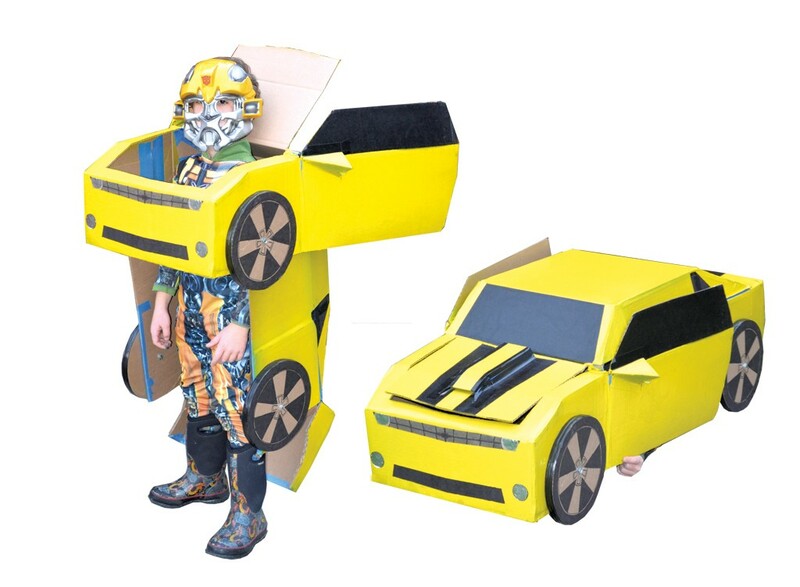 To create a Transformer costume that could actually transform, Dad Lonnie picked up thick cardboard boxes from the grocery store and scored them with an X-Acto knife so they would fold down. He used screws to secure wheels in place that would really turn. While trick-or-treating, Oliver crouched down on the ground and transformed into a car at the doorstep of every house he visited, said mom Calen. See the costume in action here! For the base of the cupcake, Frazier removed the bottom of a round laundry basket, covered it with fabric, then attached ribbons as shoulder straps. 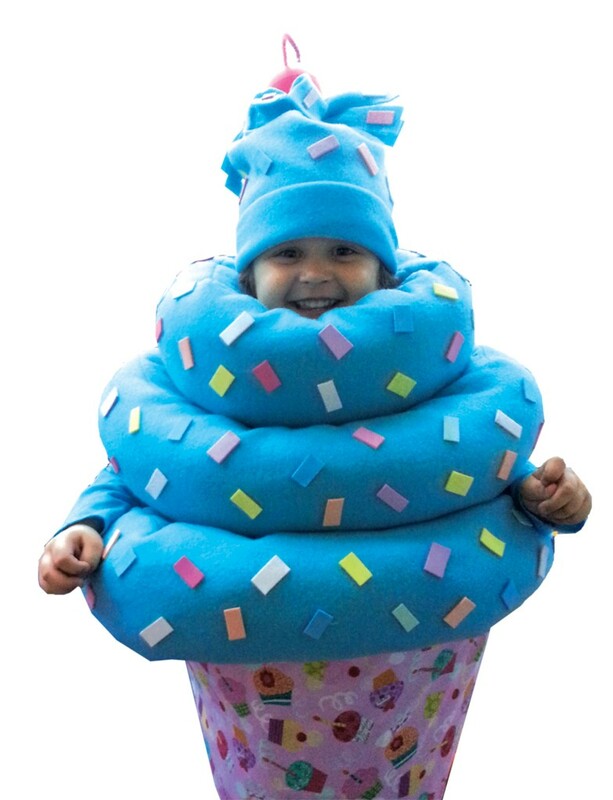 She made frosting from stuffed strips of fleece, and sprinkles from sticky foam pieces. A red plastic ball with a pipe cleaner became the cherry on top. Crittenden, who has been sewing since she was 10, used a lion pattern from Jo-Ann Fabrics, shortening it to fit Wyatt's small frame. The mane is made from ribbons cut to different lengths. The costume took Crittenden about a month to complete, but it will get good use, she said. Little brother Skylar will wear it this year. 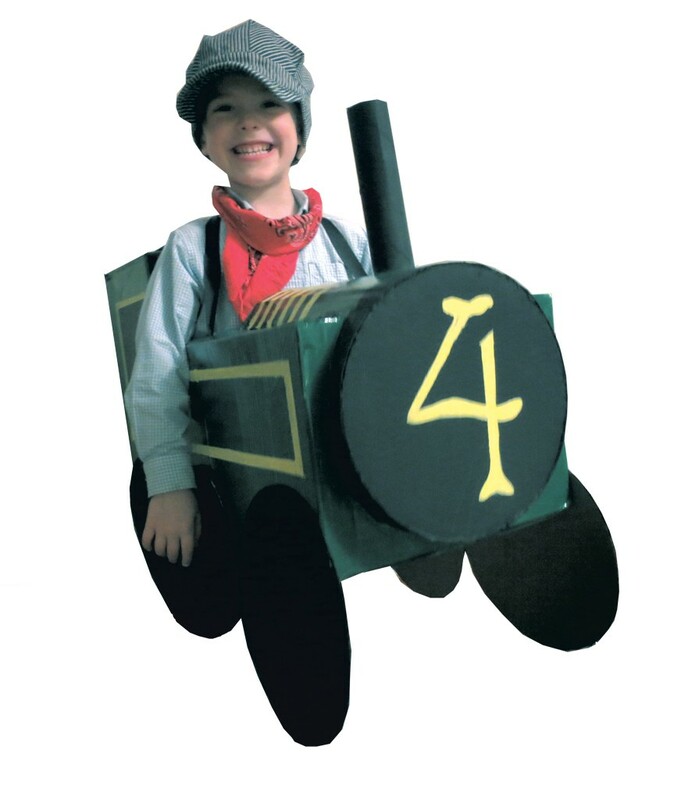 Art teacher Elliott used cardboard boxes, hot glue, paint and ribbon to make this costume for choo-choo enthusiast Elijah. He helped by painting the body of the train and the wheels. A small box hidden inside the smokestack allowed Elijah to drop his candy down the tube instead of carrying a treat bag. 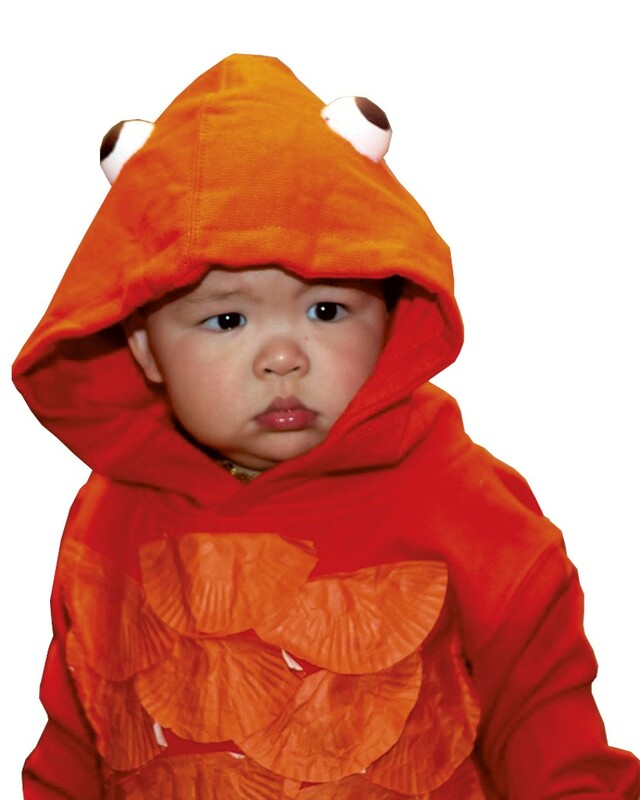 Ly hot-glued cupcake liners to an orange hooded sweatshirt to make Canaan's goldfish costume. Ping-Pong ball halves glued to the top of the hood made the perfect fish eyes. The costume took just two hours to complete, Ly said. For his viking costume, Sam repurposed a reversible fleece vest, with fake shearling on one side and brown suede fabric on the other, that Michaels had sewn for a previous year’s cowboy costume. His shield was a Styrofoam insulation panel covered with aluminum foil and embellished with paint and duct tape. 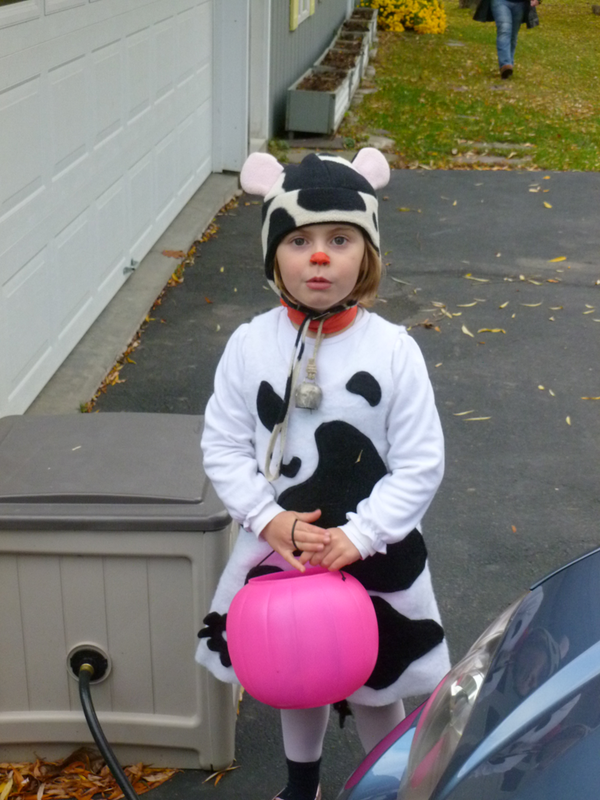 Michaels made a white fleece dress for her daughter’s cow get-up by copying a simple A-line dress in Elsa’s closet, then sewing on black fleece shapes in a cow print. Elsa wore tap shoes and a cowbell purchased on eBay for sound effects. Organize a costume swap. Families can exchange old jewelry, hats and costumes from years past and turn them into something new. Pull out old junk from the closet. A broken umbrella makes great wings. Take apart old electronics and machines to find pieces that add steampunk flair. Recycling bins are a treasure trove. Plastic bottles can be cut and turned into creature eyes; a mailing tube and a flashlight make a great laser arm. Score at the thrift store. Treasures await at secondhand shops. DIY Halloween makeup, too. Most Halloween face paint tests positive for heavy metals and toxins. Find recipes for making your own at thesmartmama.com or inhabitots.com. Hooper will teach a DIY Halloween Costumes class for kids ages 6-12 on Thursday October 16, from 8 a.m. to 3 p.m. at the BCA Center in Burlington. 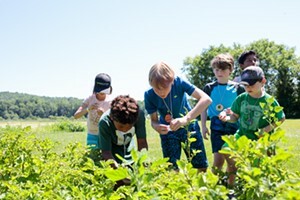 It's a school vacation day for many Vermont kids. For more information, contact Burlington City Arts at 865-7166 or visit burlingtoncityarts.org.